Garth Brooks Loves Honky Tonks! Garth Brooks’ brand new single, “All Day Long,” was born out of his fondness of playing honky-tonks. It’s been many years since Garth has played that circuit on a regular basis, but he had occasion to do so one night earlier this year in Nashville, and the memories came flooding back. The air was beer-soaked and electric when Garth Brooks strolled into Layla’s Honky Tonk on Lower Broadway in February. It was late at night when Brooks took the stage for the invite-only show, and he spent well over an hour rolling out his biggest hits for the intimate audience. The stage was tiny and so close to the audience that fans could reach out and touch the superstar at any time. They shouted out requests, he obliged, and by the end of the set, he had an idea. Brooks wanted to write a honky-tonk song — and the next time he sat down to write, he planned to do just that. “The idea came from Layla’s, just playing that honky-tonk,” Brooks said. “I’ve got to tell you, in Layla’s, that song would be so much fun to do. It’s kind of weird. You think about the first night you got to play the Ryman and all of those things, but that little night in those little bricks, that little narrow brick wall at Layla’s, that was really good.” Brooks said. His new single “All Day Long” was born that night, Brooks released it to country radio. “All Day Long” is the lead single from Brooks’ forthcoming studio album that will be available next year. March 16, we Toast to The District annual celebration Wine in the Winter at The Hilton Downtown Nashville from 4-8pm. 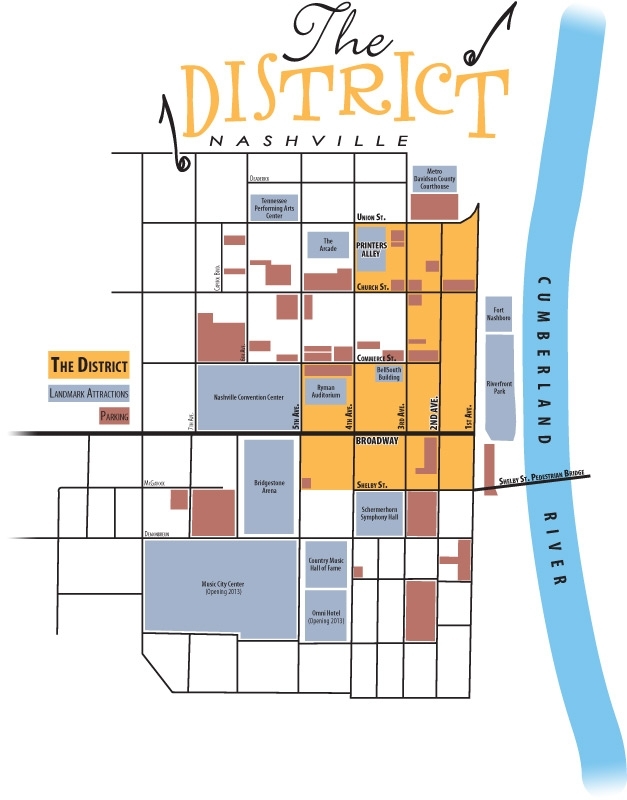 © 2015 The District Nashville - . All Rights Reserved.